Release Date:12/14/2018;Notes:LP version. Far Out Recordings presents a reissue of Eumir Deodato's Ataque, originally released in 1965. One of Brazil's most prolific artists, Deodato has racked up 16 platinum albums, won a Grammy (and been nominated for two more), and sold over 250 million records in the USA alone. After moving from Rio de Janeiro to New York in the late 60's, Deodato would work as a composer, arranger, producer and keyboardist on nearing 500 records, under his own name and with the likes of Aretha Franklin, Earth Wind, and Fire, Frank Sinatra, Kool & The Gang, George Benson, Tom Jobim, and Bjork, to name a just a few. Before that, a young Deodato had already cemented his status in Brazil as one of the country's top musical minds. In the mid-sixties, when he wasn't working with the likes of Roberto Menescal, Joao Donato, and Marcos Valle, Deodato recorded a string of albums with his lesser known instrumental samba jazz and bossa nova ensemble Os Catedráticos. A masterpiece of hip Brazilian swing, Ataque reflects the deeper, groovier side of that magical, hazy sound of sixties Rio, with monster samba grooves backing big brass arrangements and scorching organ solos. Amongst Deodato's own tracks, there are compositions by Marcos & Paulo Sergio Valle, Baden Powell, and Luiz Bonfa, arranged for a big horn section, which includes trombone player Edson Maciel, and is given an extra dose of cool from the inimitable drums of Wilson Das Neves and Ruebens Bassini on percussion. 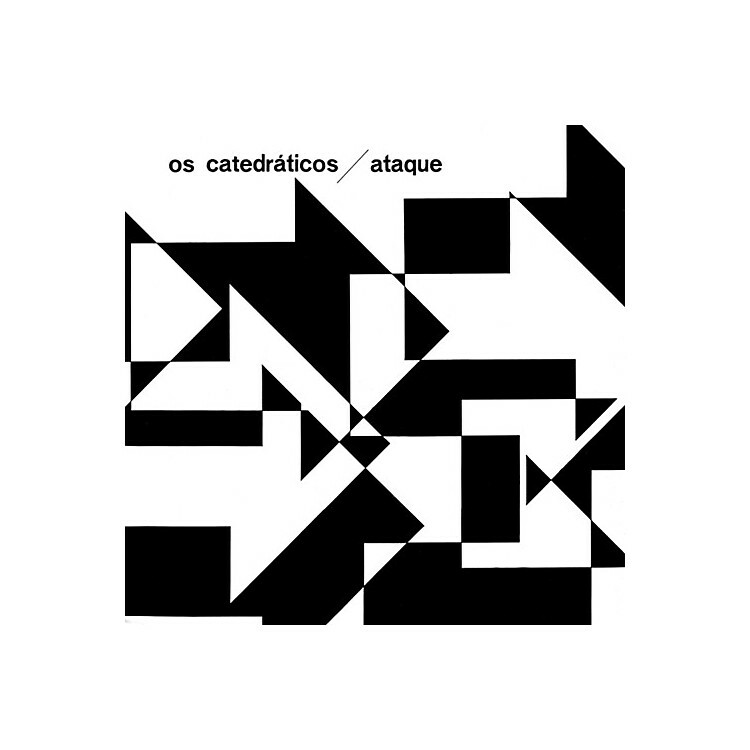 An elusive album in the canon of killer, groovy Brazilian music, with vinyl copies near-impossible to find for less than three digits, Ataque finally gets the official Far Out reissue treatment in being remastered from the original tapes. Now available for the first time outside of South America. Personnel: Eumir Deodato - leader, arrangements, conductor Maurílio Santos - trumpet Walter Rosa - tenor sax Aurino Ferreira - baritone sax Edson Maciel - trombone Ruebens Bassini - congas, pandeiro Humberto Garin - guiro Jorginho Arena - congas Sergio Barroso - baixos Wilson Das Neves - drums Geraldinho Vespar - guitar.